Flip a coin. 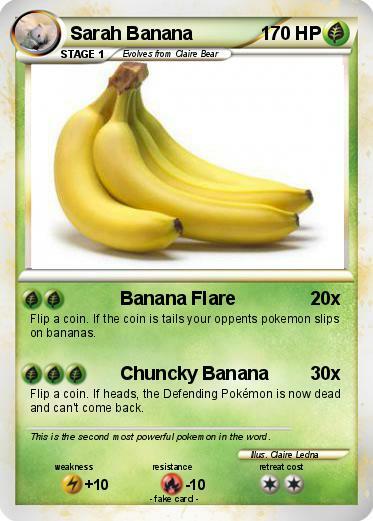 If the coin is tails your oppents pokemon slips on bananas. Flip a coin. If heads, the Defending Pokémon is now dead and can't come back. Comments : This is the second most powerful pokemon in the word.